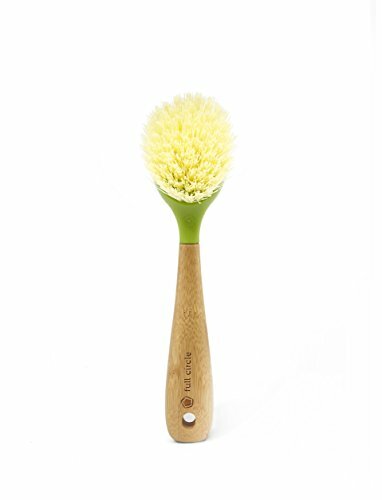 ✓ BEST BOTTLE BRUSH SET: Bottle brush, dish brush and straw brush. 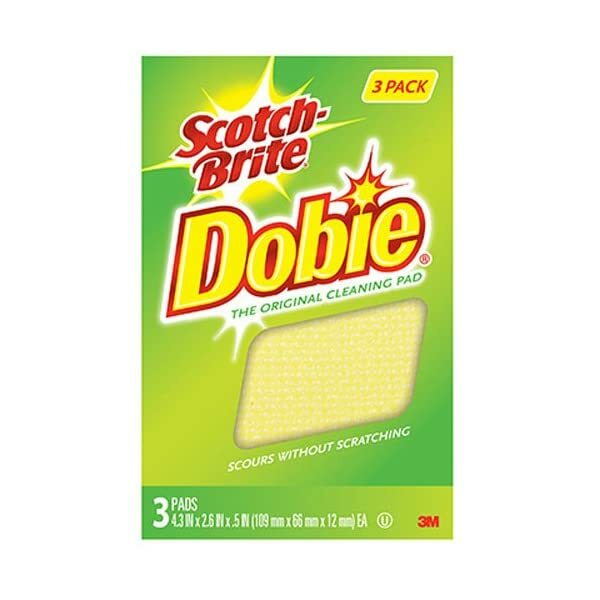 Head is dense to easily clean the bottle by making full contact with the sides. 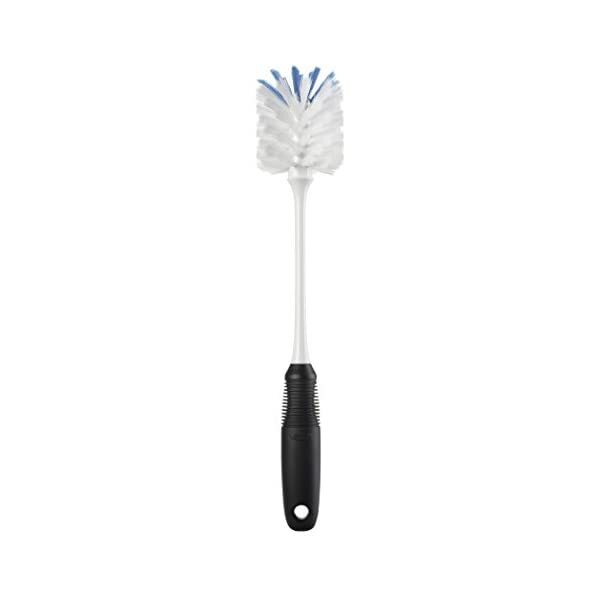 We don't use bristles as it falls apart, turn brown or black, are wiry, thin and don't scrub as hard. ✓ NO RUST, NO FALLING APART, NO BACTERIA BUILD UP: NO wires that bend or rust. 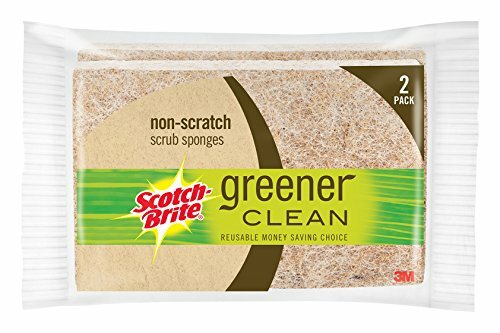 NO sponges that hold bacteria and fall apart. 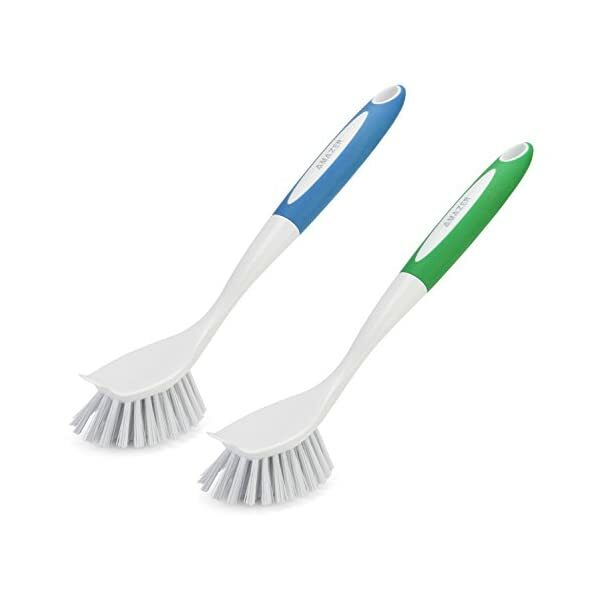 NO bristles that get bent, turn black, fall out and don't provide cleaning power. 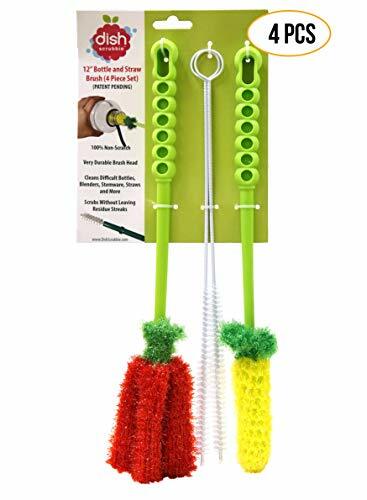 ✓ 100% NON SCRATCH: The water bottle cleaner straw cleaning brush is made of plush polyester yarn to clean and scrub without scratches or leaving food streaks behind. Safe for baby bottles, fine crystal, stemware, plastic, stainless steel. 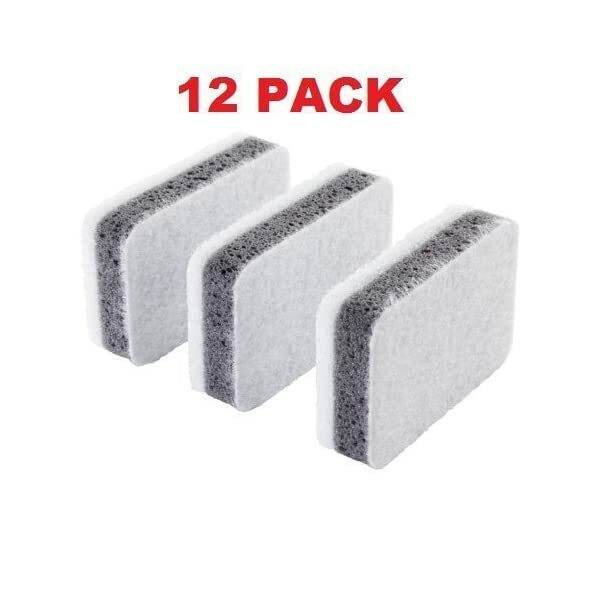 ✔️ NO MORE MOLD OR MILDEW SMELL - Never deal with the nasty smell of a mildew sponge again! 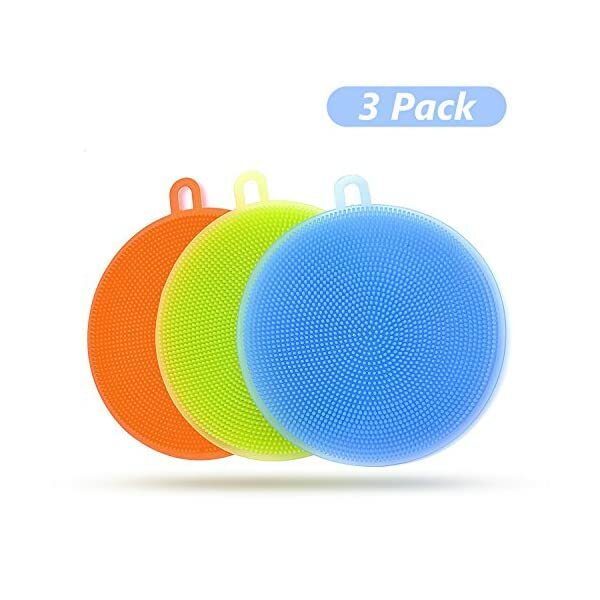 【FOOD-GRADE SILICONE】 Our dish scrubber made of soft food-grade silicone BPA free, FDA-approved and LFGB standard. 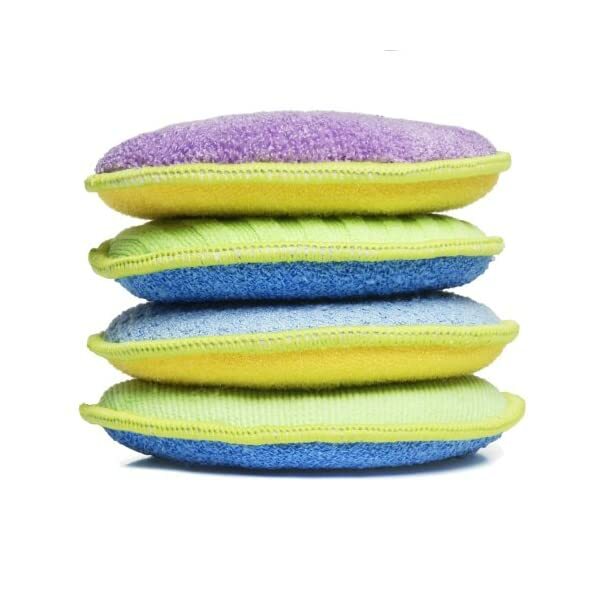 Totally free from chemical material. It can touch food directly . 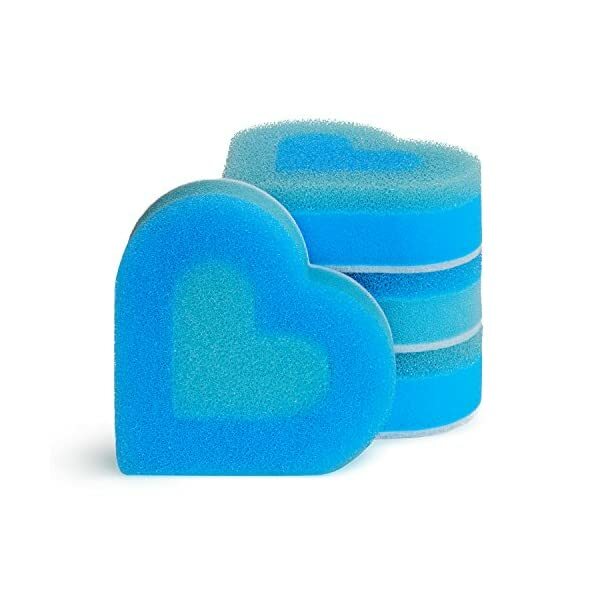 And this kind of silicone sponge is antibacterial, always keep clean for you using. 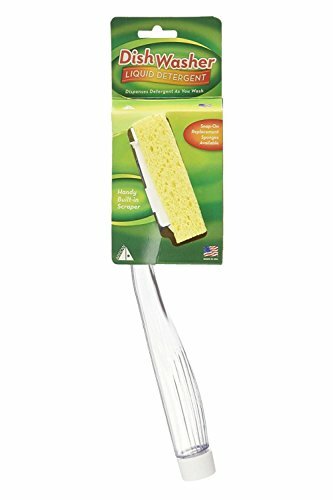 【LARGE SIZE &BRIGT COLOR】The size of the silicone sponge is 4.5X3.9'', an ideal size to handle ,not too small to slip off your hand. 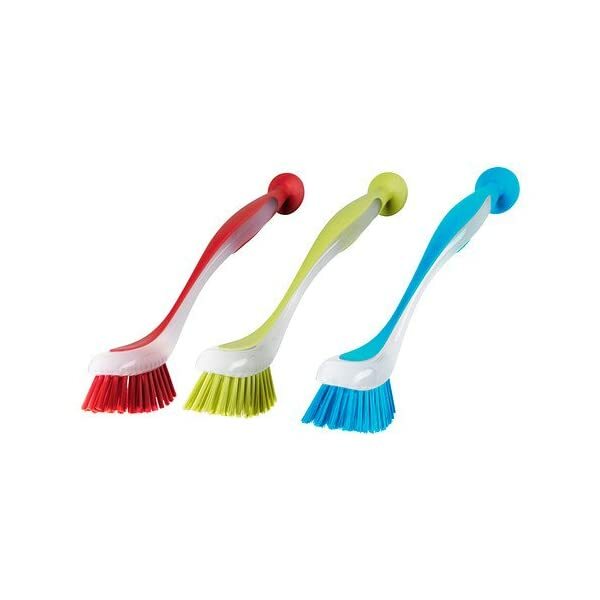 These sponge brushes in 3 colors ( orange, green, blue) all are bright and clear ,made them looks so beautiful. 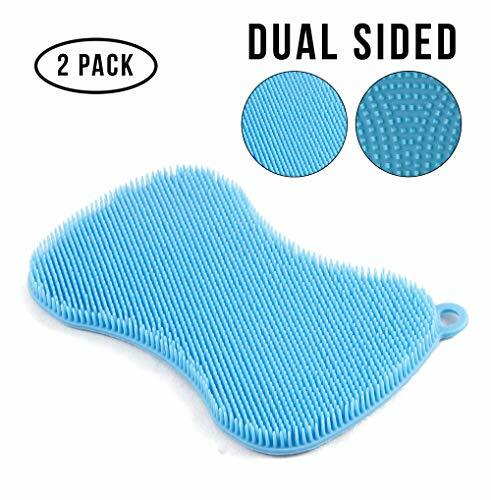 【MulTI-PURPOSE & EASY TO ClLEAN】This silicone scrubber with two-side silicone brush design , dense and soft silicone bristle made it become an ideal cleancing tool to clean all kitchenware, glassware, fruit and as a pot holder or cup mat. 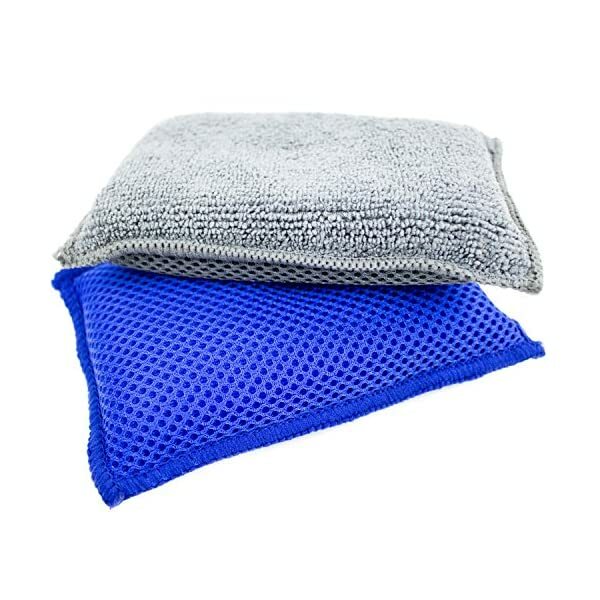 It also easy to clean by washing after using.